Even small landowners can have an effect on quail numbers. Winter is here and southern small game hunters can brush aside the blues of the long offseason and begin to reacquaint their bird dogs with the woodlands. There is no better time to load up some birdshot and seek a few coveys of bobwhite quail and no better way to do it than behind a qualified canine. 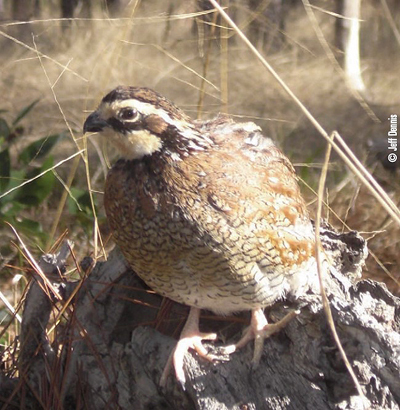 What can land managers do to provide quail with the best chance for success in the wild? A simple, but effective bobwhite quail habitat management plan is to first, come up with a long-range strategy of timber thinning and a regular regime of fire. Secondly, back that up with predator control and a supplemental feeding program. It may seem overly simplified, but you can’t argue with the results. To small, private landowners the main challenge for bobwhite quail habitat management is the lack of a landscape to work with. With that being said, any habitat management done for quail on smaller acreage also tends to benefit a wide range wildlife species. With the potential benefits for all wildlife in mind, I embarked on a path towards upland management on a 250- acre tract in the “Low-country” of South Carolina. It doesn’t necessarily take a forest filled with longleaf pines to produce a quail in the south. 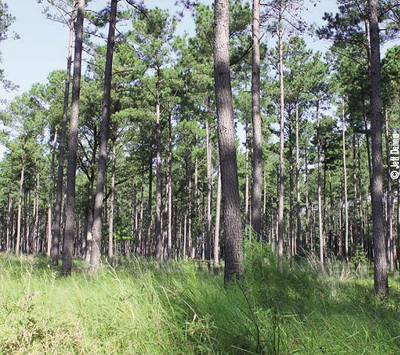 To be sure, the famed quail woods of Northern Florida and Southern Georgia hold on to tradition with their plantation belt of venerable longleaf pines, but most of us have loblolly plantations to work with. Cutover uplands that were replanted grew thick as hairs in the fertile Low-country soil, and as a young man I could hardly penetrate, let alone utilize the piney woods. However, over time they thinned themselves a bit, only to reveal a layer of pine-straw covering the ground. The canopy opening up generated ground cover that was beneficial to deer, offering them a bedding area and a place to hide fawns from predators. 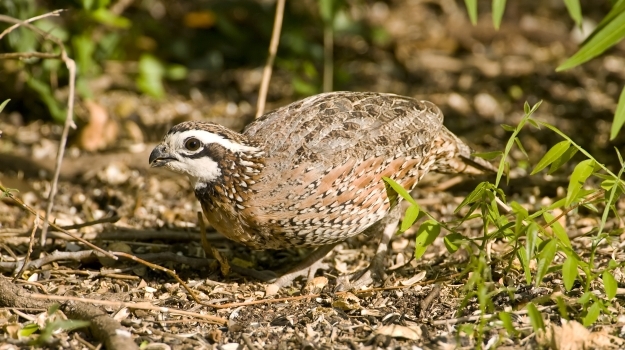 But Bobwhite quail require an open understory with grasses, legumes and access for them to scratch in the soil. All across the Southeast during the late 1980’s when CRP enrollments hit an all-time high; pinelands were converted into similar pine plantations. This landowner action was just one of the factors that helped to hold back any Bobwhite repopulation. The absence of prescribed fire on a landscape-scale continues to hurt Bobwhite quail recovery. Of all the tools at the land managers disposal, prescribed fire proves to be the most cost-effective and yields results that are hard to argue with. It turns out that thinning the woods is the easy part and that the labor intensive management was yet to come in the form of hardwood control and prescribed fire. When sunlight is introduced to the forest floor it will inspire native grasses and other plants in the seed bank to sprout once again. However, the stage is also set for the sweetgums to launch a counterattack to your management objectives by competing for nutrients and clogging up the midstory with foliage. achieved by breaking up the property into smaller blocks. After attending some landowner workshops and Clemson teleconferences on Tree Farming and Wildlife Management, I became enlightened that certain herbicides can be the land manager’s best friend when it comes to controlling sweetgums and promoting native habitat such as briars. There is a high monetary price to pay when contracting with a skidder to come spray herbicide through your pinewoods, but the reward is not seeing hardwood encroachment in your upland habitat for years after that. The area with herbicide treatment also gives you a baseline for comparison with other areas that were not treated. Trust me when I say you will come to prefer the treated areas! What is fire ecology? A commitment to burn your upland woods in rotation on an annual basis will gradually introduce your woods to a fire ecology. The absence of prescribed fire on a landscape-scale continues to hurt Bobwhite quail recovery, but there is reason to shun the practice. 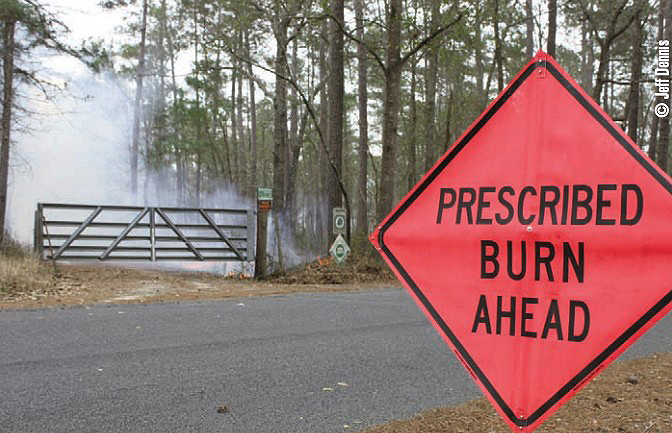 If wildfire results from your prescribed fire, then the landowner is legally accountable. Before setting fire to the woods one must invest in the creation of fire lines/breaks that ring the tracts where controlled burning is to be done. After completion of the South Carolina Certified Prescribed Fire Manager course I set out to reintroduce controlled burns to the pinewoods. The remnants of firebreaks revealed that prescribed fire had been in practice on the land before. But I had not witnessed fire there in my lifetime, which is not unlike so many other places where the practice of fire had become forgotten. An old saying states that the land will take an equal amount of years with prescribed fire as years without in order to restore the fire ecology. Of all the tools at the land managers disposal, prescribed fire proves to be the most cost-effective, and it yields results that are hard to argue with. Generally speaking, a controlled burn is best done during winter when air temperatures are not high, allowing a prescribed fire to creep along slowly. No matter what the temperature, too much wind can cause any fire to burn sporadically creating mixed results, where it burned too hot in spots and not hot enough in others. The top three ways to improve quail reproduction is the establishment of brood habitat, the reduction of predators and the implementation of a supplemental feeding program. Brood habitat is by far the easiest of these three methods to adopt, as letting land lay fallow for a year or two can produce high quality brood habitat. The key here is to disturb the soil by disking during the fall of the year (in the southern and eastern states). Native seeds will respond to fall disking, whereas spring or summer disking can promote unwanted weeds such as sandspur or crotalaria. landowners managing for quail habitat. Predator control is accomplished through an active trapping program that must be continuous. Some research has shown that a “start and stop approach” yields little results to predator reduction. The top six quail nest predators are snakes, armadillos, raccoons, ants, possums and bobcats. With the exception of the ants, which no one can “control,” these predators can be trapped and removed. Trail cam videos reveal that predators raid quail nests, and while the hen usually flies to freedom, the tasty quail eggs are easily consumed. Supplemental feeding of bobwhites is a newer and more ambitious plan, one that likely takes a healthy budget for sporting purposes, but research has proven that it can aid quail to over-winter. Quail don’t migrate, but hawks do, and our southern woods host a large number of northern hawks during the winter. 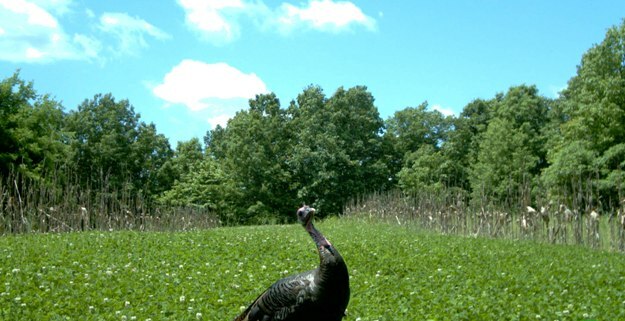 Spreading the supplemental feed over open ground gives an advantage to hawks on the hunt, so remember to use the seed in conjunction with cover. If quail survive winter in a healthier condition, due to your supplemental feeding, then they will breed with better efficiency come spring. When hatched, a one-day old quail is about the size of the end of your thumb and they need to consume insects containing protein in order to be able to take flight roughly two weeks later. These quail chicks will find this bounty of insects in the brood habitat that you have thoughtfully provided. 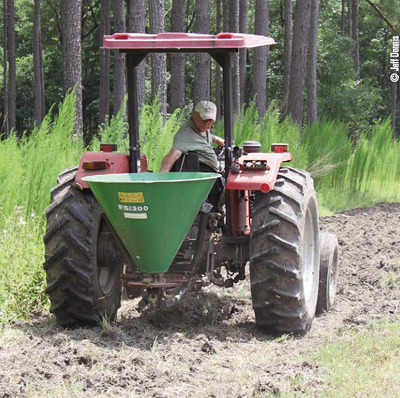 Annually we plant food plots with oats, wheat and sorghum that run in between pine woods and ag fields. Other planting areas include powerlines, firelines and old logging decks. This year we added BioLogic’s WhistleBack to the list since it offers the sustenance that game birds require. Quail hunting on the property started back just three years ago and we want Gentleman Bob to know he is welcome to return and to flourish in the South Carolina’s Lowcountry and all throughout the south. Cut quail in half; salt and pepper. Make batter of milk and eggs. Dip quail in batter, then in flour. Fry in hot oil until golden brown. Serves 8.